Wash and soak millet, dal, sago and fenugreek seeds for 3 hours. Drain. Using a blender grind a thick soft batter without adding much water. It should be in paste consistency. 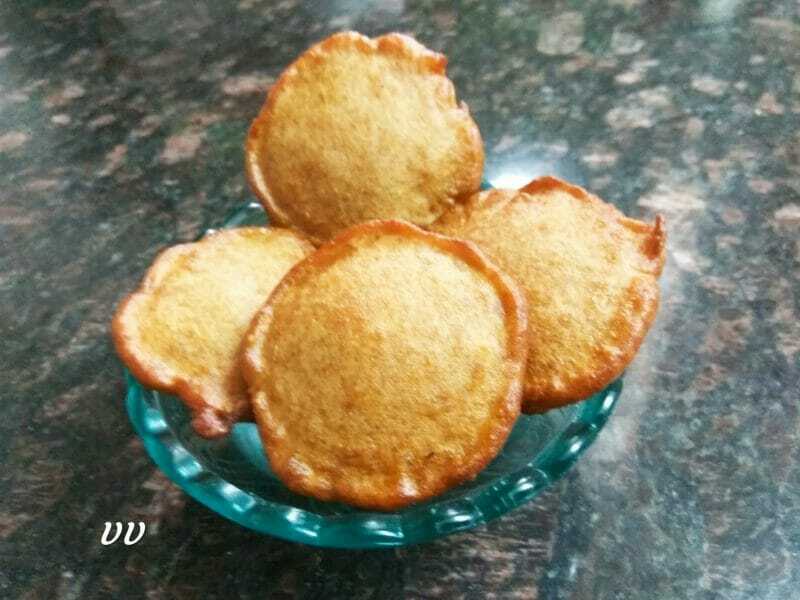 Since jaggery will leave water, it is necessary to grind the batter very thick. Finally add jaggery, coconut and cardamom powder, salt and blend everything. Keep aside for 30 minutes. Give a good mix of the batter with a ladle. Heat oil in a pan. Pour a small ladle full of batter and fry them on medium heat. When the bottom is cooked, flip and fry the other side. Flip a few times till it gets a nice golden colour on both sides. Remove and drain on a kitchen tissue. 1. Kodo/Foxtail/Barnyard millets can be used for this recipe.